Destiny | "How Would You Fix...?" 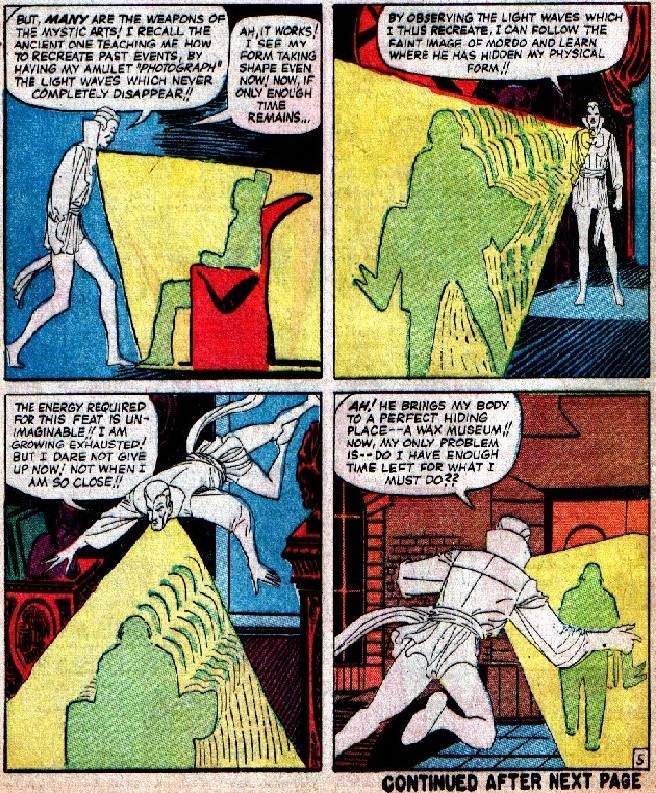 During the early part of his X-Men run with John Byrne, Chris Claremont got the idea that the ruler of the dimension of dreams, Nightmare, who had pointy ears just like Nightcrawler’s, should be revealed as his father (further reasoning that the dimension through which Kurt travelled while teleporting was the same as the dream dimension). Stern subsequently became editor of X-Men and was able to ensure that this didn’t happen for long enough that Chris was forced to change his mind (yet hypocritically allowed long-time friend John Byrne reveal Scarlet Witch & Quicksilver as the children of Magneto). 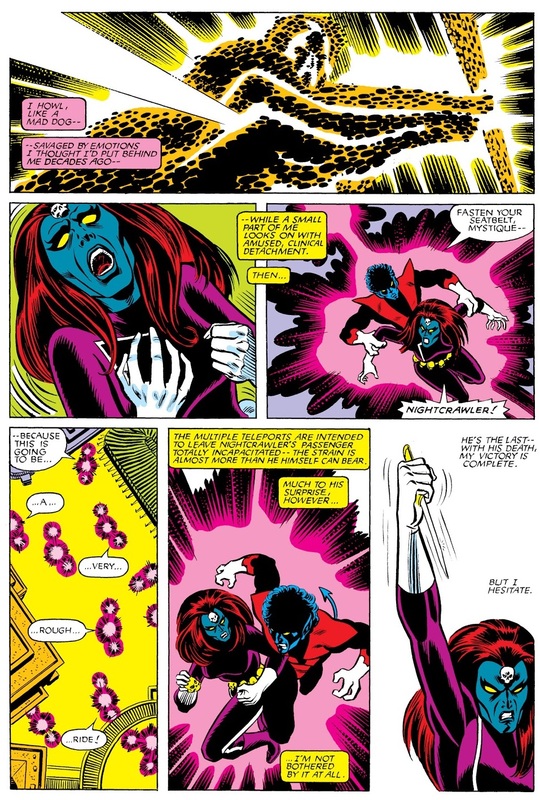 In Uncanny X-Men #142 (1981), Nightcrawler met the shape-shifting mutant Mystique, who had a physical resemblance to him. In the issue she told him that his adoptive mother Margali Szardos could answer his question about who she was. But Nightcrawler never asked Margali. In Uncanny X-Men #204 (1986), Nightcrawler rescued a new character, Judith Rassendyll, from the hitman Arcade. Afterwards, Judith learned that she was the last of the Elfburgs and heir to the throne of the European country Ruritania. 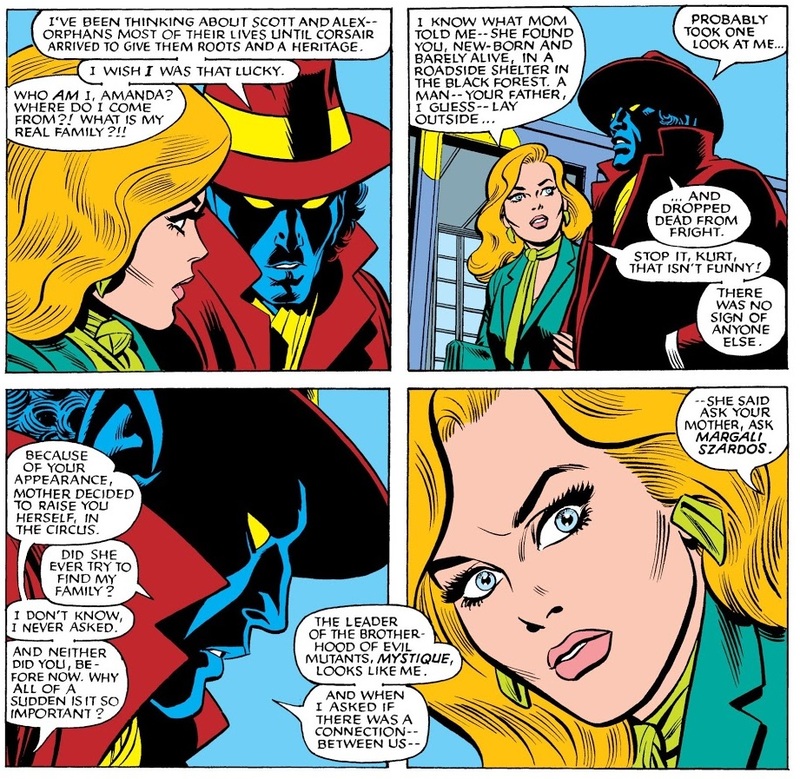 Unfortuntely, Nightcrawler’s origin story was cut short in Uncanny X-Men #206 (1986), with Kurt not accompanying Judith Rassendyll to Ruritania. It was never revealed who had hired Arcade to kill Judith, but it was probably someone who didn’t want her to ascend to the throne of Ruritania. Judith reappeared in the Excalibur Special Edition #2: Mojo Mayhem (1989) where she was now Princess of Ruritania and about to enter into an arranged marriage. Despite romantic attraction between Kurt and Judith, she has never appeared again. Instead, Lobdell had Mystique be Nightcrawler’s mother with Destiny playing no part in the equation. 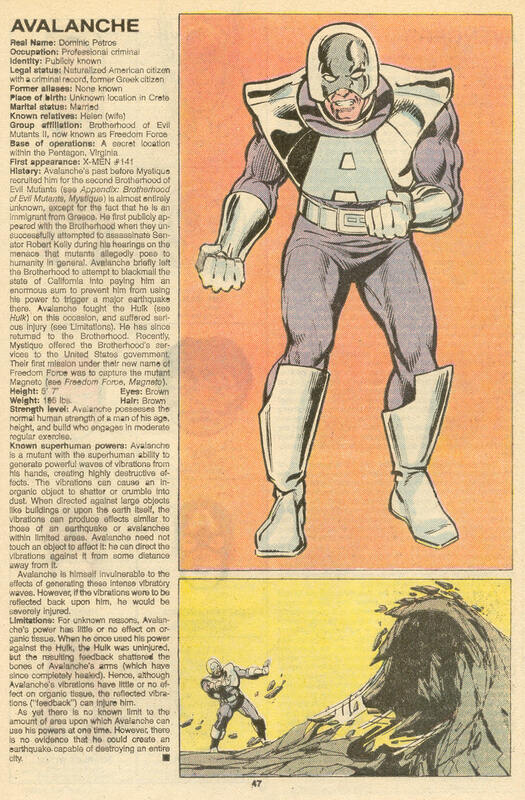 So even as recent as 2003, it seems despite subsequent claims from a number of sources, Claremont can’t have really intended Mystique to be Nightcrawler’s father. But I’m not necessarily suggesting Mystique was Nightcrawler’s mother, either. When using the Eye of Agamotto at this moment, Kurt is bathed in a powerful mystical light that allowed the past events of how she found him by the roadside as a baby. 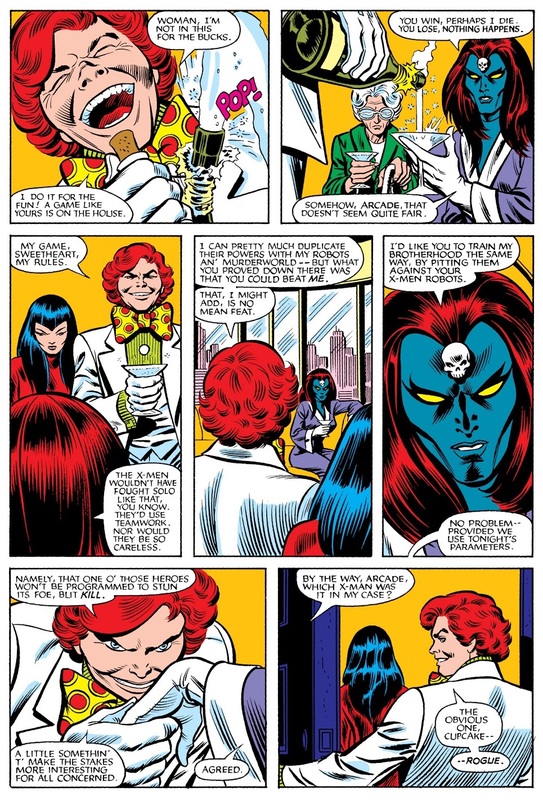 In Uncanny X-Men #142 (Feb 81), in the ensuing fight with Mystique’s Brotherhood of Evil Mutants when the X-Men stop their assassination attempt on Senator Robert Kelly, Nightcrawler notes that her “true form – meingott, we are so alike!” and upon asking her “Who are you? !” she replies “Ask… your mother, Margali Szardos. Who would better know than — she?”. 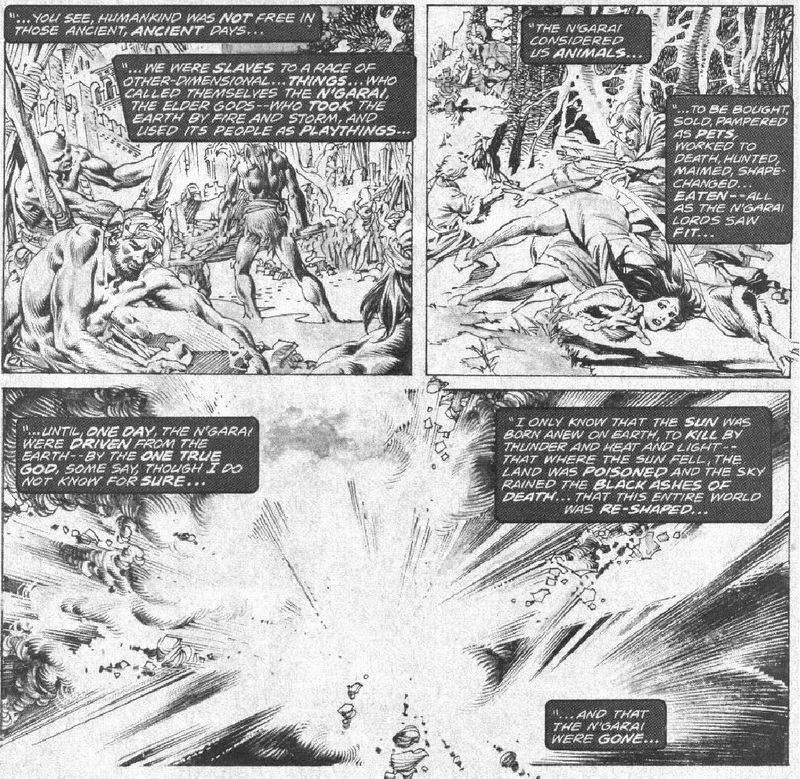 Then, in Uncanny X-Men #170 (Jun 83), captions written by Chris for the dream sequence where Mystique is getting hunted by Lady Jean Grey and Sir Jason Wyngarde, note it to be occurring in “1783, the place England, their quarry a woman who will not be born for another 170 years”, indicating she was born in 1953 (exactly 30 years before the story’s setting). So despite later suggestions that Chris decided Kurt’s mother as Destiny, and his father was Mystique, there is no way Raven could have been Kurt’s parent without time-travel being involved. 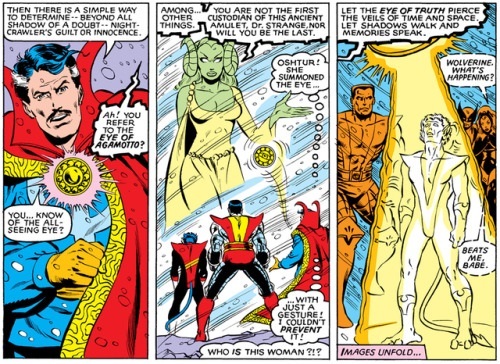 So how can Margali’s story, revealed by the Eye of Agamotto, be reconciled with what Mystique said in Uncanny X-Men#142? 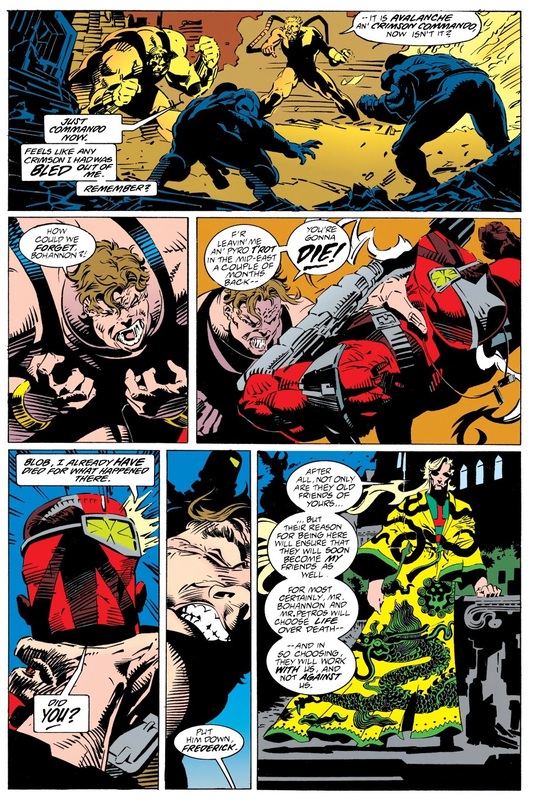 In the earlier half of Uncanny X-Men #177, when Mystique kills six of the seven X-Men robot simulacrums which she hired from Arcade to help her prepare for battle with the real X-Men when she planned to return Rogue to her and Irene, recall she hesitates when it comes to the robot Nightcrawler. And just prior to this, after her hesitation with the Nightcrawler robot, Mystique discusses with Arcade about how to conduct further training sessions (with always one android set to kill) meaning that she wants to be ready to kill Kurt if that was “necessary” to “rescue” Rogue. It doesn’t make sense that she would believe it was necessary for her to kill her biological son in order to “rescue” her foster daughter?! 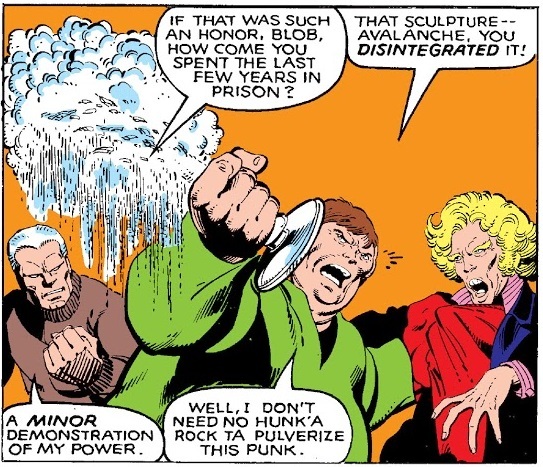 This showed she knew an awful lot about Kurt Wagner before then, even about his pre-X-Men days, for Kurt had been out of touch with Margali since before his first appearance in Giant-Size X-Men #1 (1975), and both us readers and the X-Men only learned about her in Uncanny X-Men Annual #4 (1980; it came out one month before Uncanny X-Men #142). 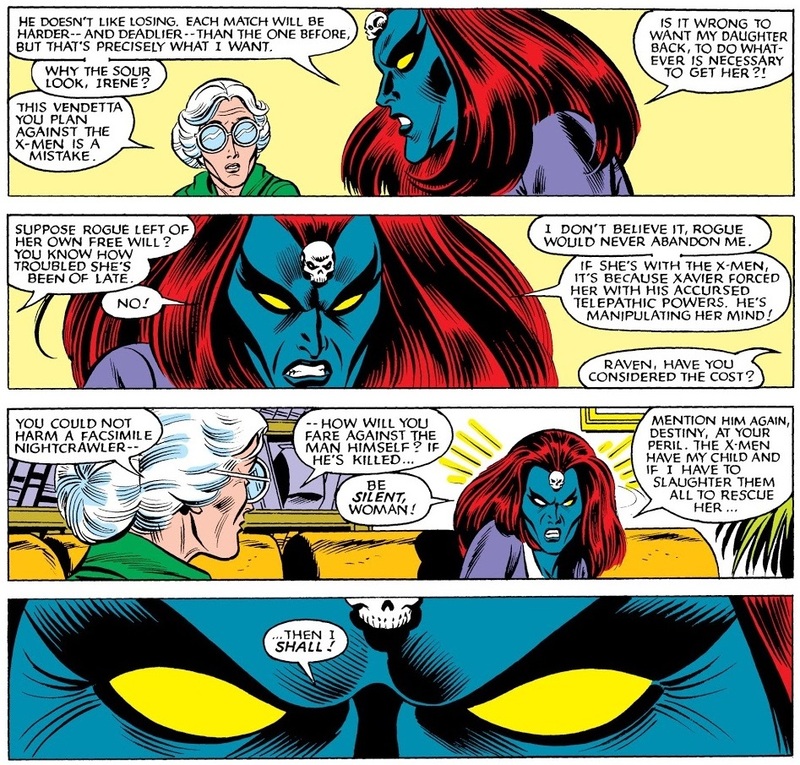 This further indicates that not only did Mystique know about Margali, but Margali also knew about Mystique, by all evidence before Mystique came to wider attention (her debut was in 1978 in Ms. Marvel #18). This would make it very likely that the stories Margali told Kurt and Amanda about finding baby Nightcrawler next to his dead mother or father may not have been true or have left out crucial details. If Kurt is Mystique’s son and she was aware that Margali Szardos had him, why didn’t she try to retrieve him? Whereas if she was Kurt’s sister, possibly only a few years older than him, one could say that she was too young to do anything about Margali taking him away from her. Of course there are other possible scenarios. 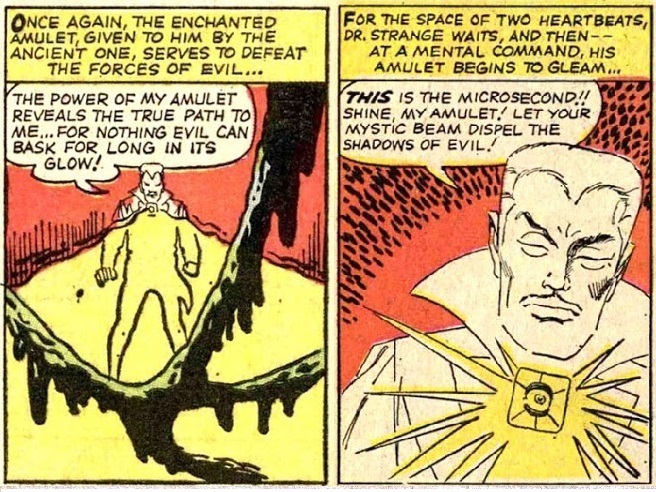 Recall that upon Margali summoning the Eye of Agamotto from Dr. Strange in Uncanny X-Men Annual #4 and using it, at this moment Kurt was bathed in a powerful mystical light, the same light that allowed Dr. Strange to see past events! 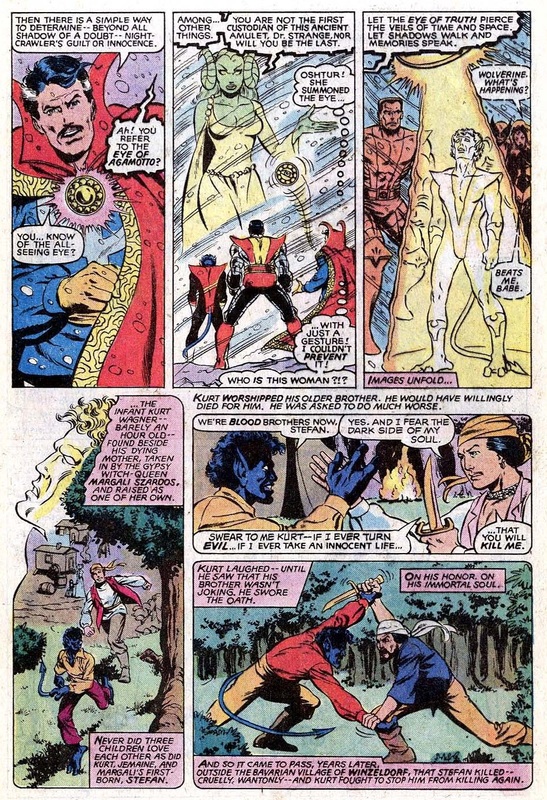 So it’s unlikely the images and memories it unfolded (particularly of Kurt being found beside his dead father) were faked by Margali as is later claimed since the mystical light the Eye of Agamotto emitted previously allowed Dr. Strange to see through all illusions. And when Amanda recalled her mother telling her she found him beside the body of his dead mother, perhaps she was just recalling the incorrect parent as Margali had told her when she was much younger. So what if Kurt was the biological son of Margali and Mystique’s late beloved elder brother (let’s call him Mr. Szardos) – quite possibly a shape-shifter like herself – and Jimaine(Amanda) was an adoptive child*? Mr. Szardos could have met his (probably violent) end around the time of Kurt’s birth, and that would have inspired the cover story of Margali finding the child by the roadside (maybe she wanted to hide the fact that she had given birth to a child that looked so much like a demon and thus pretended that the foundling Amanda was her biological child and Kurt the foundling). So in conclusion there is no need or reason to assume that Chris made a mistake in Uncanny X-Men #170 (which he wrote with the mysterious connection between Kurt and Mystique already in place). The likelihood of Kurt being Raven’s son was extremely remote as it would have required stuff like time-travel, forced aging, false memories or what have you to work. 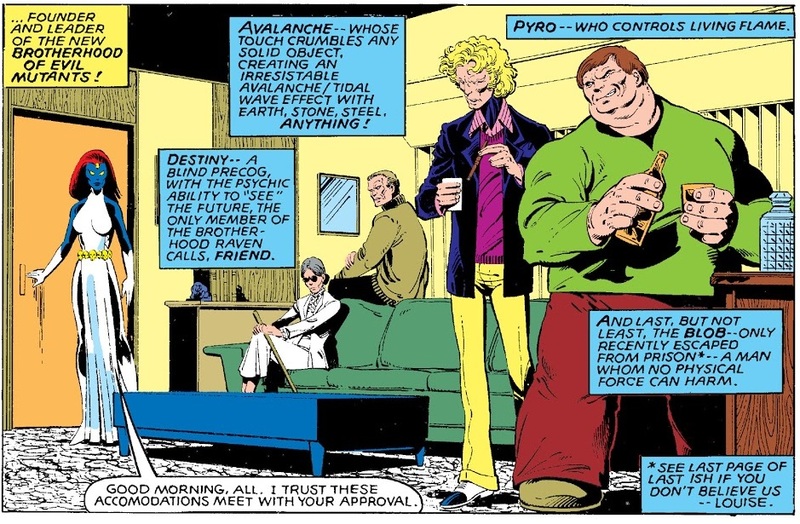 While Kurt in any case, also as brother or nephew, would in all likelihood have been Mystique’s only living blood relation, to me that is strong enough a reason for her to behave as she did in Uncanny X-Men #177. 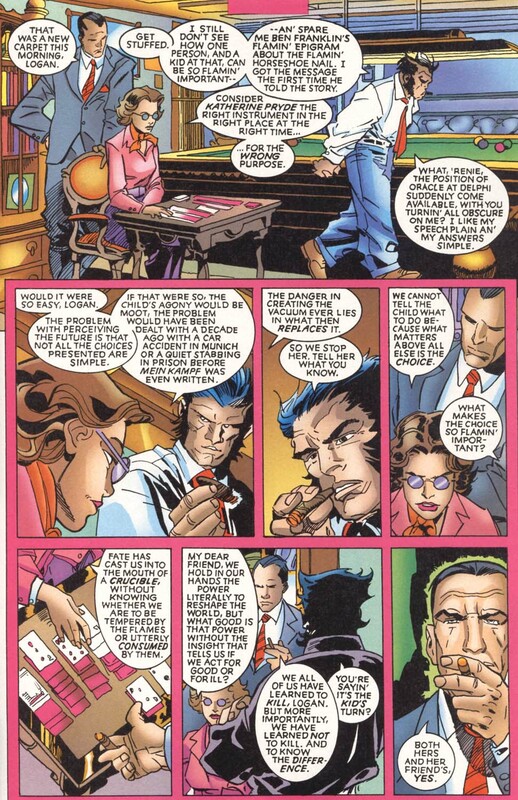 So the later claim that Chris intended Nightcrawler to be the biological son of Mystique and Destiny which editorial would never let fly, the fact that he earlier indicated abandoning the origin for Kurt he planned to emerge out of Judith Rassendyll’s introduction because it just wasn’t clicking for him, I’d suggest this wasn’t what he intended from those earlier stories and the above is more likely. So how to explain Chris’s later introduction of the Mr. Raven character working alongside Irene Adler in X-Men: True Friends set in 1936? 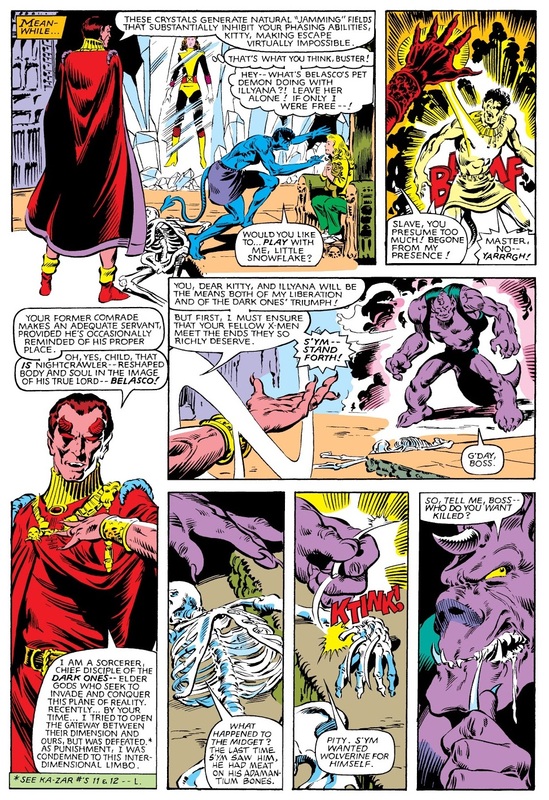 After Roger Stern refused to allow Claremont to proceed with revealing Nightmare as Kurt’s father, it is interesting to note that before Chris began overtly implying a relationship between Mystique and Destiny (beginning, I’d suggest with Uncanny X-Men #170) he “plundered” recurring Ka-Zar the Savage series villain and demon-sorcerer of Limbo, Belasco, for the X-corner of the Marvel Universe for several years hence. In addition, not only did Belasco have pointy ears like Nightmare, and as sorcerer-priest of Limbo, rulership of a demonic dimension, but a forked, prehensile tail like Nightcrawler. 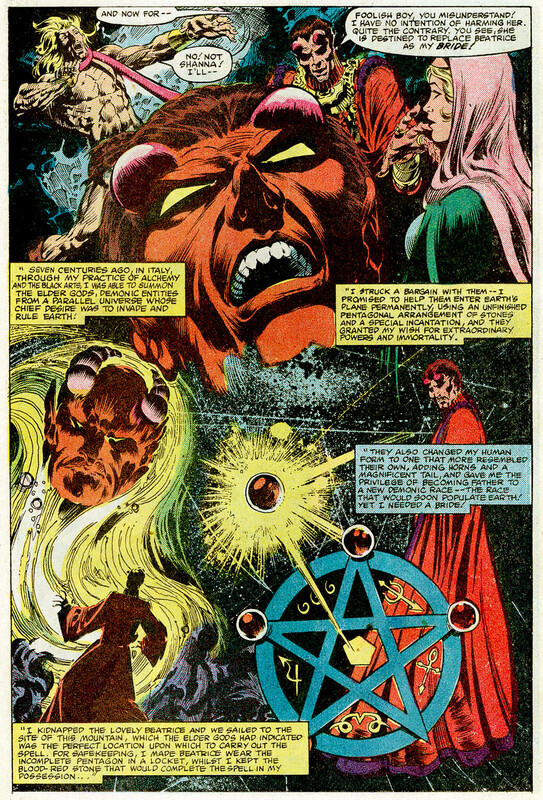 Almost immediately after procuring Belasco as a villain for the X-titles, Claremont revealed the Elder Gods the demon-sorcerer served as his very own Elder Gods, the N’Garai. It is worth noting here that Claremont named his Elder Gods after the Basque term for conquerors, “Garai” (Chris would well have known this given he further referred to the cult of humans dedicated to these demons as the Camarilla of the N’Garai, “camarilla” a particularly Basque term). So does this explain why Chris suddenly latched onto Belasco as an X-villain? That is, upon realising his name was Spanish/ Basque for “little raven”, bela- being raven and “-sco” meaning little. Of further note is that Belasco made a deal with his “Elder Gods” for immortality on the basis he would return to earth and become the “Father” of a new race of Earth-Born Demons. Recall too in the Magik Limited Series, out of those X-Men who survived becoming entrapped in Limbo trying to rescue Colossus’s younger sister, Illyana, Storm and Kitty got corrupted by the demonic realm but remained independent, whereas Kurt was the one who fell most under Belasco’s control, becoming his “familiar”. So was Claremont entertaining Nightcrawler as an Earth-born demon, and Belasco as his Father (and Margali Szardos perhaps his biological mother)? 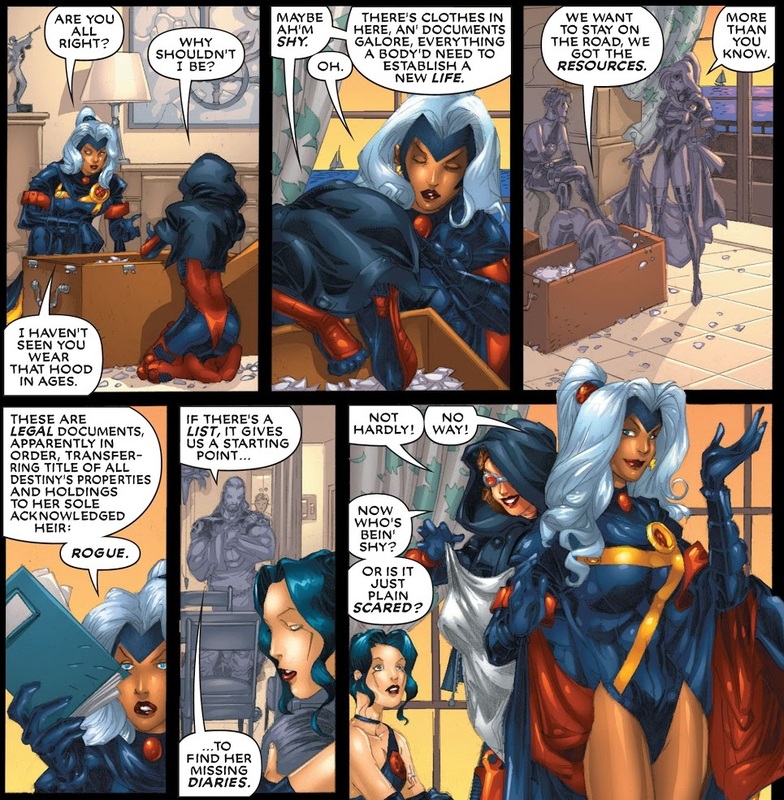 Post-script: Chris confirmed my suspicions that Jimaine was not Margali’s biological daughter, but one of her foundlings, in his recent Nightcrawler series, specifically issue #2 (2014).